A four bedroom detached bungalow occupying a generous corner plot with large gardens to the front, side and rear. 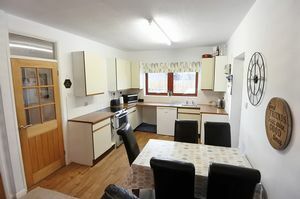 Ideal for families with the property offering flexible accommodation with open plan lounge/dining room/kitchen. 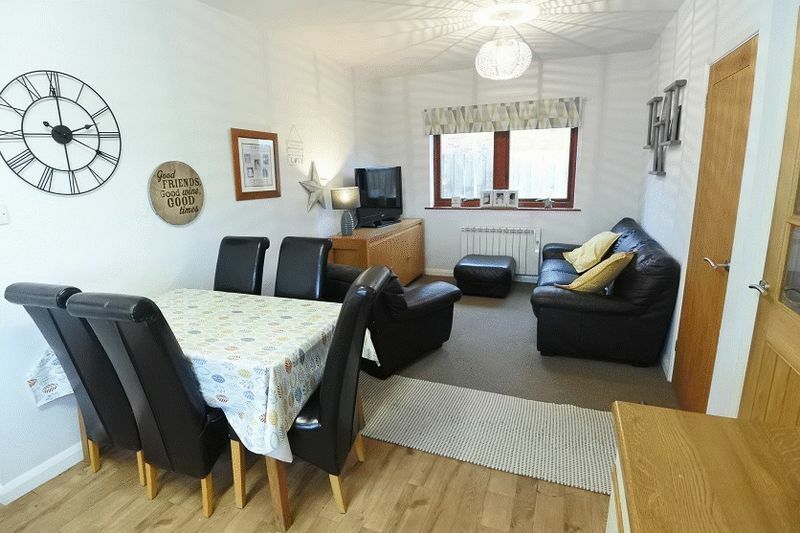 Accommodation comprises Entrance into Hallway, Lounge/Dining Room/Open Plan Kitchen, Conservatory, Four Bedrooms and a Modern Bathroom. The property benefits from storage heaters and double glazing throughout. 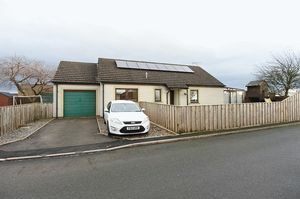 Externally there is a driveway for two cars leading to a single adjoining garage. Large front, side and rear gardens. Internal viewing is highly recommended. 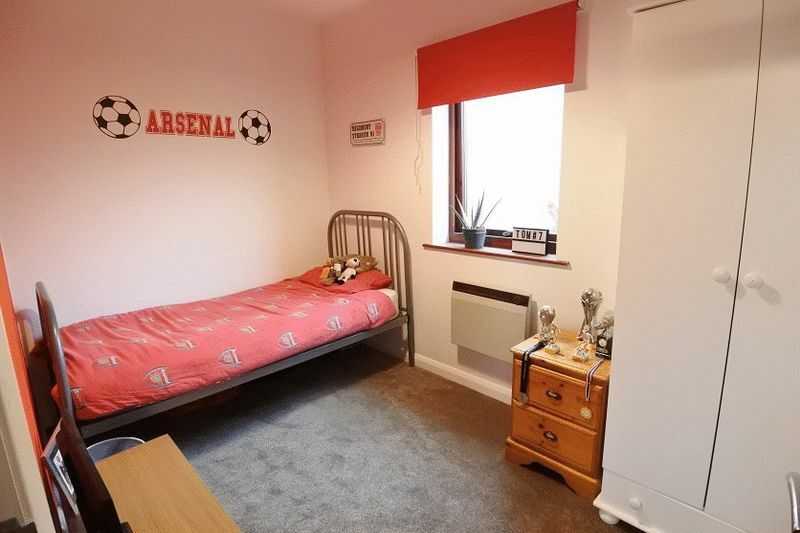 Tile effect cushion flooring, economy 7 storage heater, airing cupboard housing the hot water cylinder, access to the part boarded loft with pull down ladders, oak veneer doors leading to all four bedrooms, bathroom and lounge/dining room/open plan kitchen. 23' 4'' x 10' 0'' (7.11m x 3.05m) Lounge has space for a dining table, T.V. and telephone points, satellite T.V. 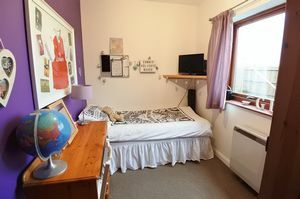 connection, large further built in cupboard with shelving, electric wall heater. Fitted with a range of base and wall units, worktop surface, stainless steel sink and drainer, space for cooker with electric point, under counter space for a fridge, tiled splashbacks, plumbing for a washing machine or dishwasher, double glazed windows to the front and rear of the property, door leading into the garage. 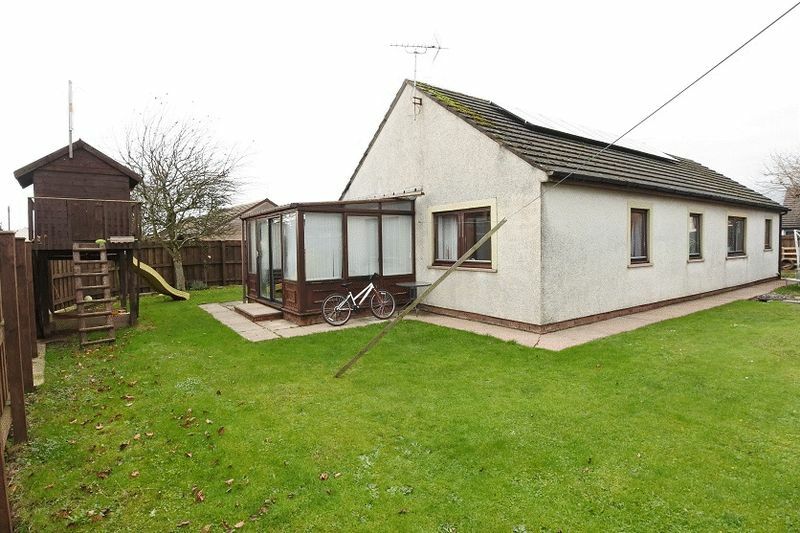 19' 8'' x 10' 0'' (5.99m x 3.05m) Good sized single garage, plumbing for a washing machine, vent for tumble dryer, water tap, double glazed window to the rear of the property, door leading to the side garden. 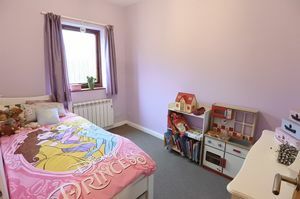 15' 2'' x 9' 0'' (4.62m x 2.74m) Good sized double bedroom, T.V. point, built in wardrobe, sliding doors which lead through to the conservatory, electric wall heater, double glazed window to the front of the property. 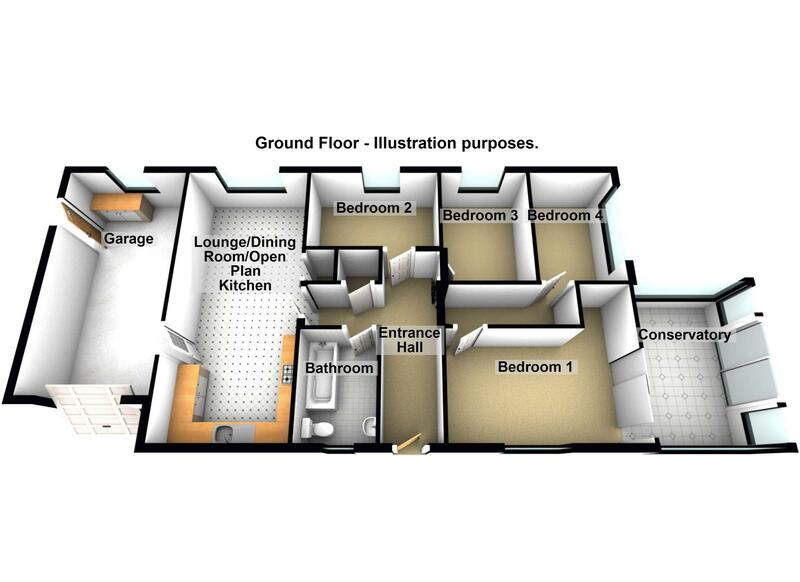 12' 4'' x 9' 8'' (3.76m x 2.94m) Tiled flooring, sliding double glazed doors which lead outside to the garden. 10' 9'' x 7' 8'' (3.27m x 2.34m) Electric wall heater, double glazed window to the rear of the property. 11' 0'' x 7' 3'' (3.35m x 2.21m) Good sized third bedroom, T.V. 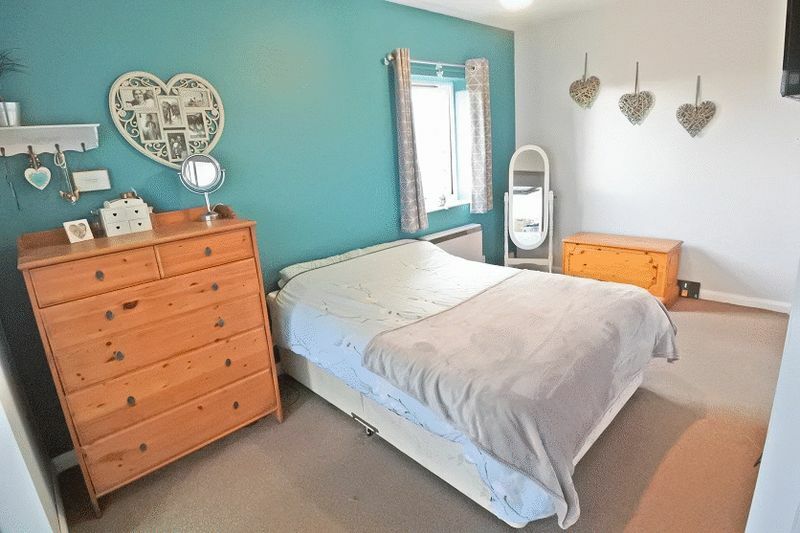 point, electric wall heater, double glazed window to the rear of the property. 10' 1'' x 7' 6'' (3.07m x 2.28m) Electric wall heater, double glazed window to the side of the property. 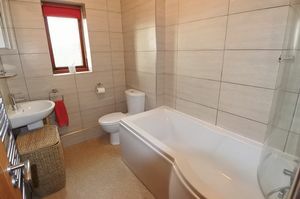 8' 4'' x 6' 0'' (2.54m x 1.83m) Modern white three piece bathroom suite, mixer shower over the bath with shower screen, WC, wash hand basin, fully tiled walls, chrome heated towel ladder, extractor, frosted double glazed window to the front of the property. 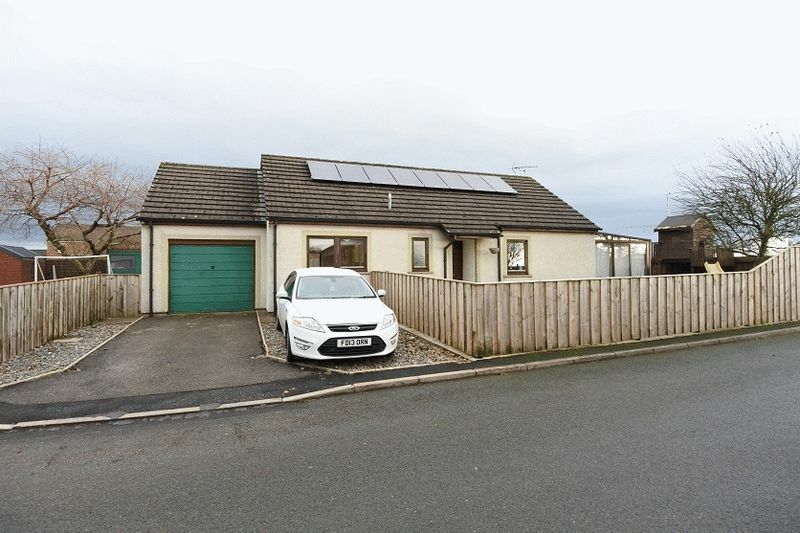 Driveway providing off street parking for two cars and a single adjoining garage. 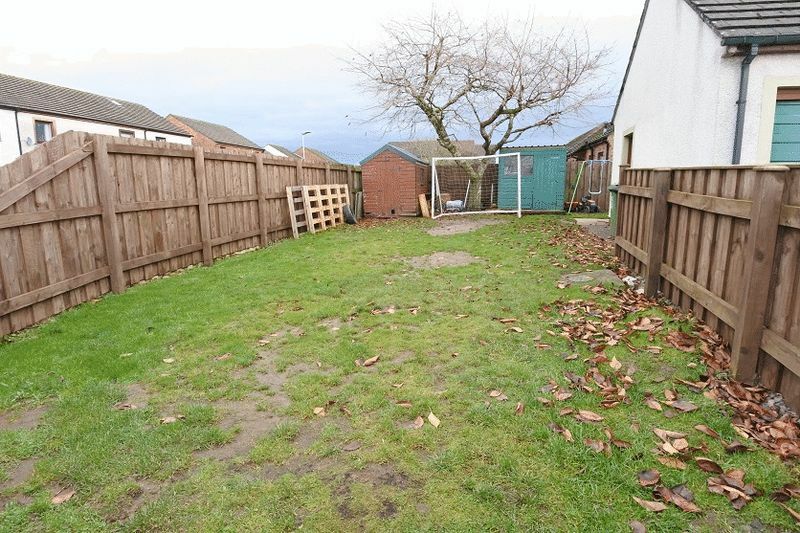 The property benefits from large front, side and rear gardens. 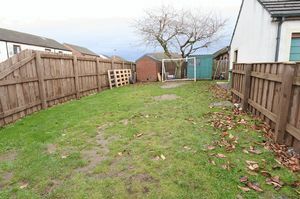 The gardens are mainly laid to lawn, fully fenced all around providing extra privacy. Two garden sheds. Mains water, electricity and drainage. Solar panels. Economy 7 storage heating. Double glazing. Freehold. Council Tax Band C.